Year 5 students take part in Maths Challenge day at Ballard School, New Milton. New Milton’s Ballard School is host to primary school maths competition. 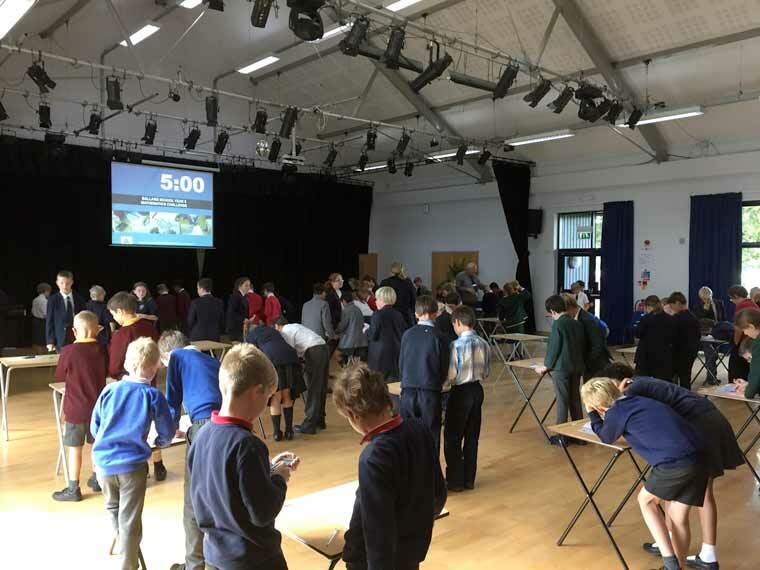 Over 20 local primary schools from Dorset, Hampshire and Wiltshire were among those taking part in an invitational maths challenge day at Ballard School in New Milton. The 34 teams of aspiring Year 5 mathematicians participated in six different tasks including working with tangrams, pentominoes, and dominoes. In the final round, teams come together to work through multiple choice mathematical problems. This is the first time Ballard has hosted the DCBeagle Maths Challenge.